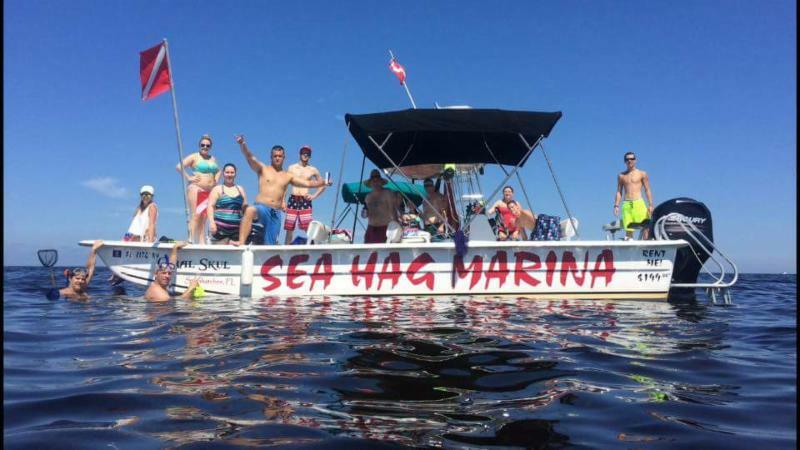 Well, it’s been an epic scallop season for Steinhatchee this year. I realize that the relatively dry weather has caused problems around the state, but it has resulted in the clearest water in years, and the biggest crop of scallops I can remember in my 20 years or so of coming to the Hatch. Additionally, I think the fact that last year the water was dark almost up to Keaton Beach meant that a lot of scallops were not harvested. I took a group of friends from the University of Florida Sea Grant program scalloping yesterday, and noticed that many of the scallops had a lot of barnacles on them, which are seen more frequently in scallops that survived for two summers. Regardless, stories abound. 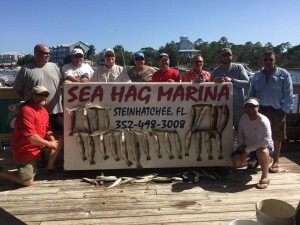 One prominent Steinhatchee business owner went to within a quarter mile of the channel at dusk and limited in an hour. 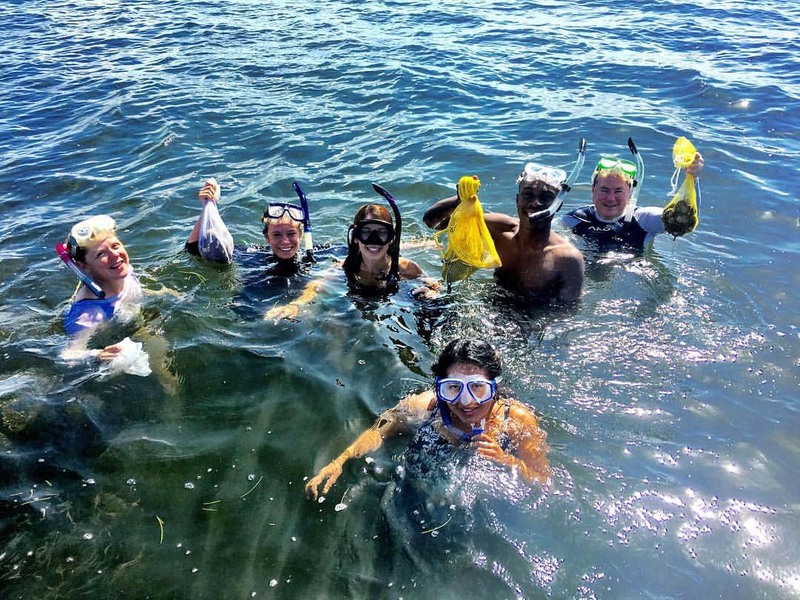 Not only that, but they are in relatively shallow water (3 feet or so) which makes it much easier for kids. 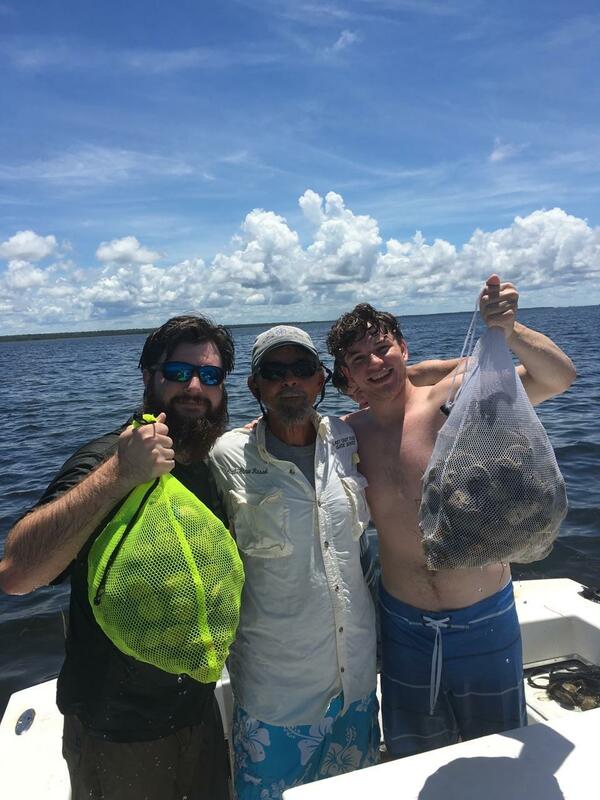 It’s hard to list hot spots because literally anywhere you go with mixed turtle and manatee grass, especially when there are sandy areas, you will find lots of scallops. The grass flats outside of Rocky Creek and areas between the Bird Rack and Big Grass Island have been holding tons of boats, so explore other areas with sand and grass. 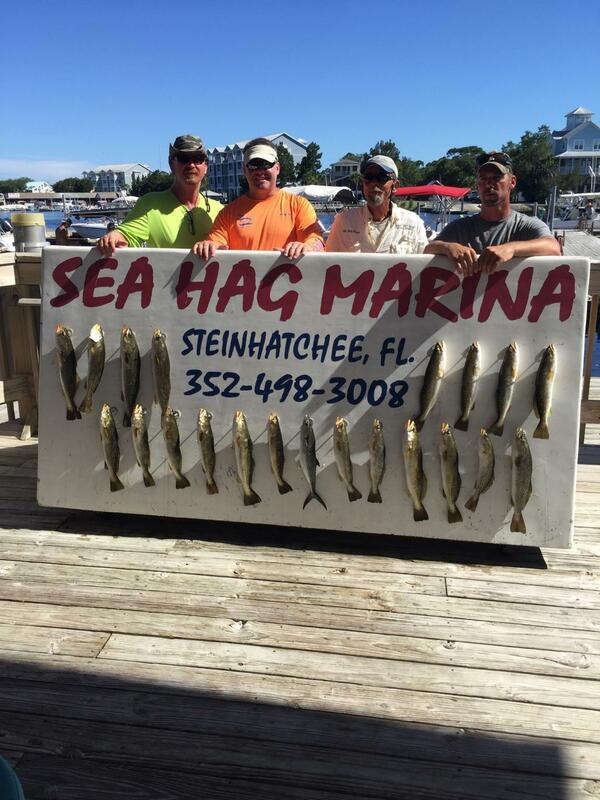 The areas around any of the sand bars usually will also have areas of thinning grass and sand. Especially look for manatee grass, which has round thin tendrils (like spaghetti) instead of turtle grass (which, continuing on with pasta comparisons, is more like fettuccine). Most of our flats are covered in thick turtle grass which makes it harder to see scallops, especially before the sun gets high in the sky and the scallops move up near the top of the grass. In areas of thinner grass, the scallops are much easier to find. They also are easy to find around prop scars, so follow them along and you’ll be picking up lots in a short time. Fishing has also been good. 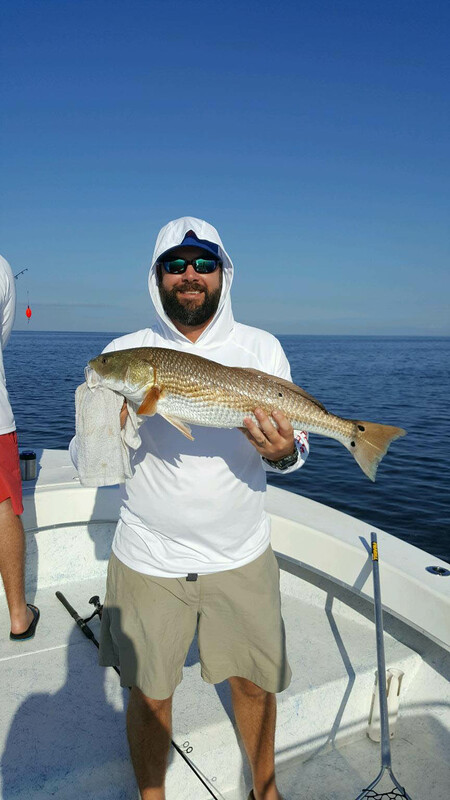 Redfish have been schooling but the schools are scattered and pretty skittish because of the all the boat traffic. 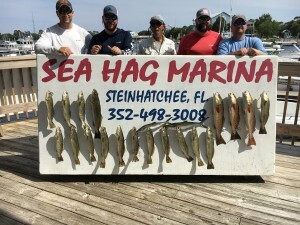 Trout and sand trout have been coming in regularly, along with nice gag and red grouper catches when people are willing to run offshore. 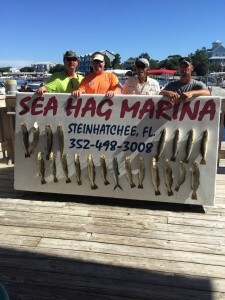 Here are some pics from this month’s catches….and scallop limits. 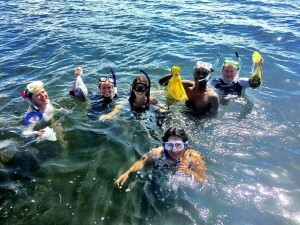 I took this fine group of people from Florida Sea Grant out for a scalloping adventure. We all had a fine time. 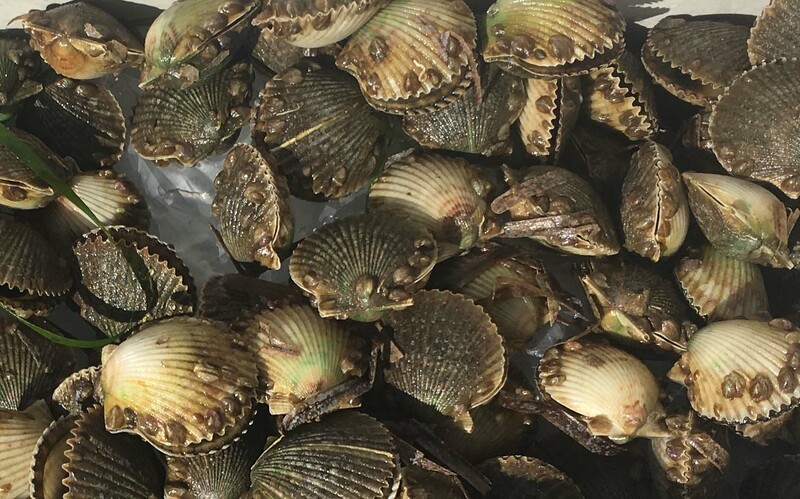 A close-up of our scallop catch…note the large number of barnacles on the shells. Warner Brown enjoyed his first scallop trip. 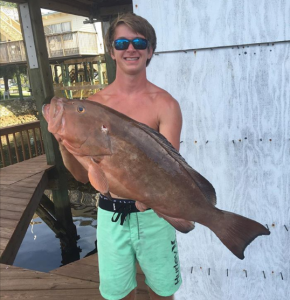 Justin Welch brought back this fine red grouper from a spearfishing trip. 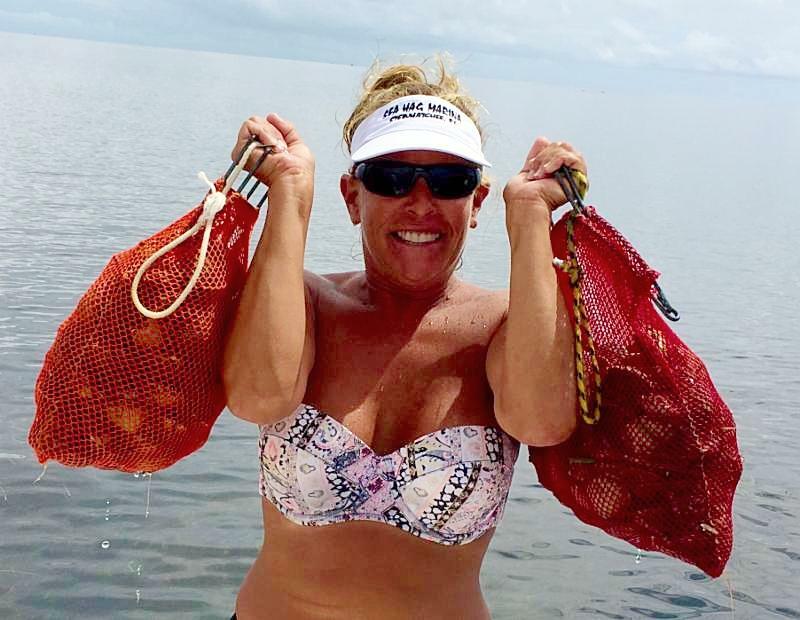 Debra Colwell with a whole bunch of scallops…..
James Dechow showed that there are some fine trout available in shallow water. 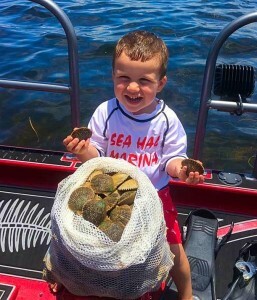 Hunter Keen served as boat boy on his first scallop trip. Garrett Smith found this unusual and tasty tripletail. 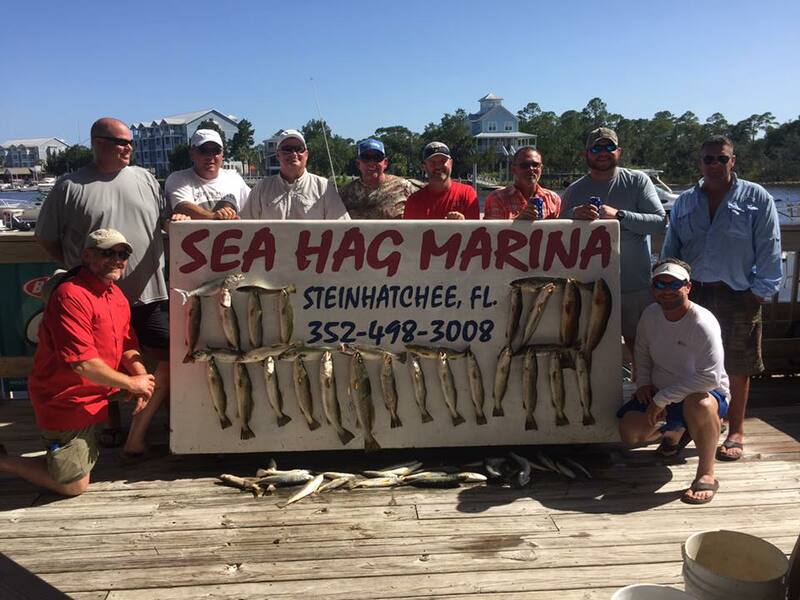 Multiple captains combined for this group fishing trip and scored well with both sand and speckled seatrout. A group in one of our rental boats scoring their limit of scallops. 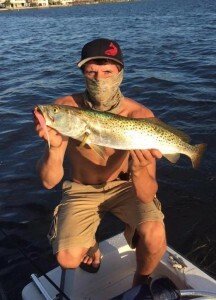 Trout have been run out of their usual shallow flats but have set up housekeeping a little further offshore near many of the nearshore bars like 9 Mile Bank or at Dog Head to the north toward Keaton Beach. Fish the sandier areas around those bars with jigs and soft tails; Gulp baits have been working especially well. You’ll find good numbers of sand trout (no size or bag limit) mixed some surprisingly nice-sized seatrout and the occasional flounder. 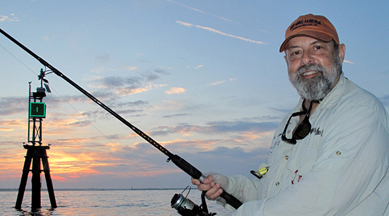 For redfish, fish at sunrise and be on the lookout for nervous water hiding a school of fish. If they are moving set up well ahead of them and hope. Any noise, even a trolling motor, will send them running this time of year. 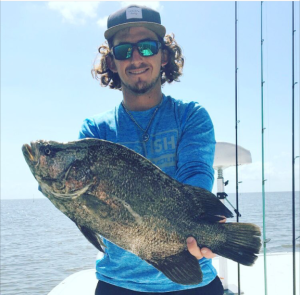 They get a little lethargic when the water temps are as high as they are now, so don’t be surprised if even when you find a school, they just aren’t interested in chasing down a lure. Unfortunately we received notice that amberjack will remain closed in federal waters for the rest of the year. The state has opened the season in state waters, but many of our AJ’s are outside of state waters. Both gag and red grouper remain open; this time of year, it usually requires some pretty long runs to get to them, but they are plentiful. Please take advantage of this scalloping season; it may be a while before we see another one like this. 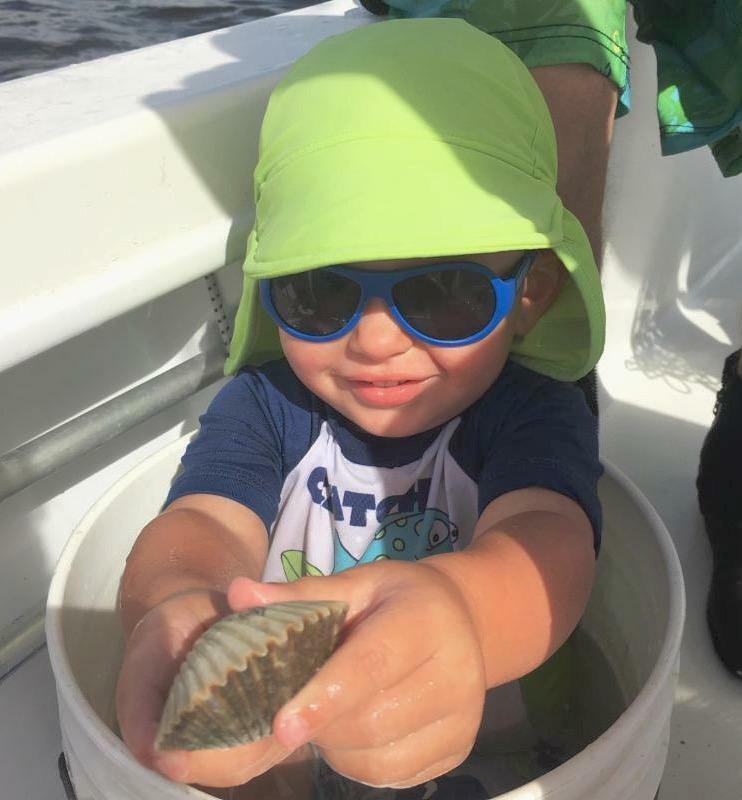 Call for lodging, and still one of the best deals anywhere is our fleet of rental boats which are perfect for scalloping with the family. You can get everything, and by everything I mean masks, snorkels, fins, dive flags and fishing licenses at the Ship’s Store. Make reservations now….you won’t regret it. 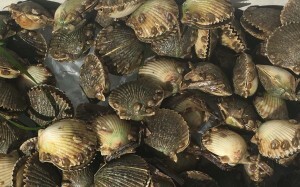 Scallop season is in full swing and most people are still getting limits. Either direction out from the river is still working, with the Dallus Creek area to the north and Rocky Creek to the south the hot spots. Still some redfish in the shallows but most are undersized. 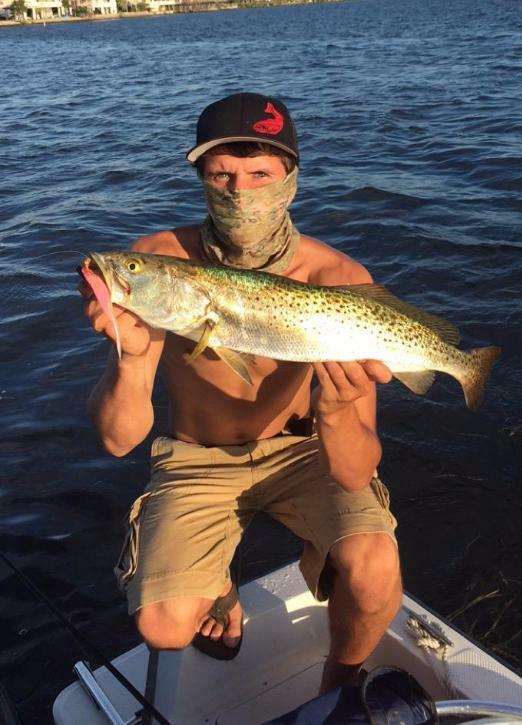 Trout have moved to the deeper flats and there are still some sand trout in the deeper holes.